Hit the jump for all the details. Director Ridley Scott’s pseudo Alien prequel comes to Blu-ray in two versions: a basic 2-disc Blu-ray/DVD combo, and a collector’s edition 4-disc pack that includes the 3D Blu-ray, Blu-ray, DVD, and a digital copy. 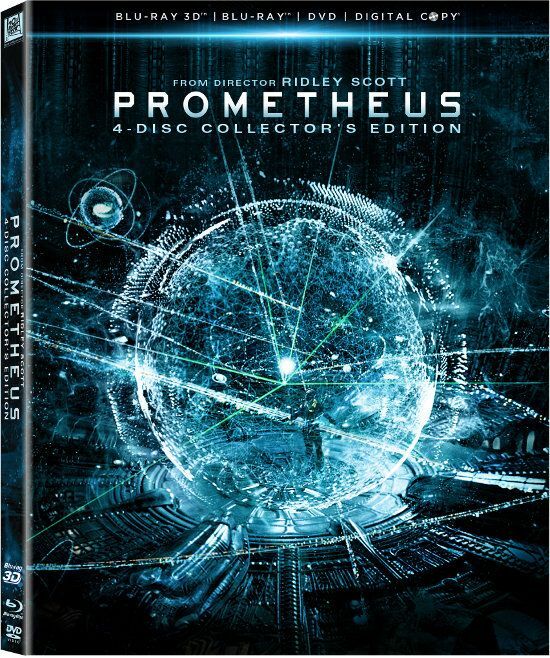 The latter version—deemed the “Collector’s Edition”—is packed with extras that include two separate commentary tracks (one by Scott, one by screenwriters Damon Lindelof and Jon Spaihts), deleted and alternate scenes that include an alternate opening and ending, all the viral videos for the film, and a batch of featurettes that cover everything from the making-of to pre-vis to screen tests. 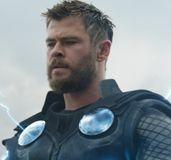 Viewers also have the option of watching an “extended edition” of the film with the alternate opening and ending, though other deleted scenes are not included in this feature. 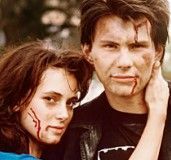 The 2-disc Blu-ray includes both commentary tracks, the viral videos, and the deleted/alternate scenes, but does not come with any of the making-of featurettes. Though the behind-the-scenes stuff sounds cool, most fans will probably be interested to see what can be gleaned from the commentary tracks and deleted scenes. Steven Spielberg’s classic hits the Blu-ray format for the film’s 30th anniversary, and fans will be happy to know that the disc includes the original version of the film sans Spielberg’s digital manipulation. The extras are worthwhile as we get a 13-minute featurette called Steven Spielberg & ET, a 54-minute featurette called The E.T. 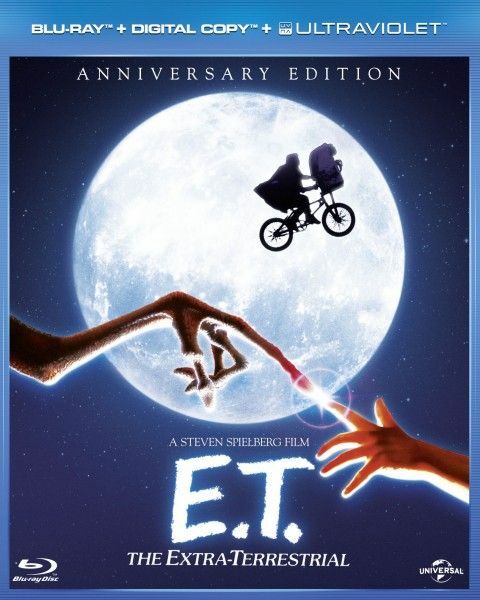 Journals that is comprised entirely of behind-the-scenes footage, deleted scenes, and some extras ported over from the film’s 2002 release that include retrospective documentaries, interviews, a cast and crew reunion, The Music of E.T. and more. The master of suspense’s stab at 3D now gets a proper 3D release on Blu-ray. 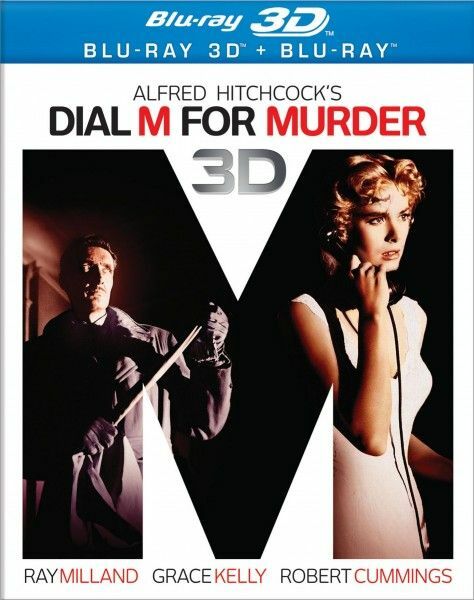 Though the video quality is apparently a little iffy, the transfer gives fans a chance to see Dial M for Murder the way Hitchcock intended—in 3D. The only special features on the disc, however, are a background piece on the film in which filmmakers and critics discuss Dial M for Murder and the film’s theatrical trailer. Another (arguably more revered) Hitchcock film also hits Blu-ray this week with and HD transfer for Strangers on a Train. The disc features an audio commentary by a number of filmmakers and experts, multiple featurettes (including “An Appreciated by M. Night Shyamalan”), the film’s theatrical trailer, and more. Feed me Seymour—in HD! 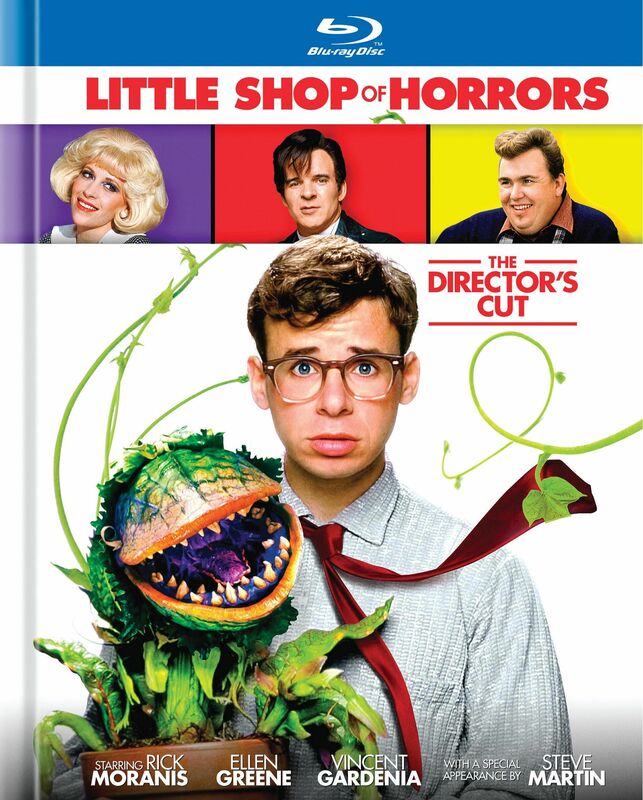 The wonderfully fun musical Little Shop of Horrors comes to blu-ray in the form of Frank Oz’s director’s cut. The disc includes Oz’s cut of the film, which features the newly restored 20-minte alternate ending. Also in the extras is an audio commentary, an introduction to the film by Oz and Richard Conway, the behind the scenes documentary A Story of Little Shop of Horrors, outtakes, deleted scenes, and two trailers. 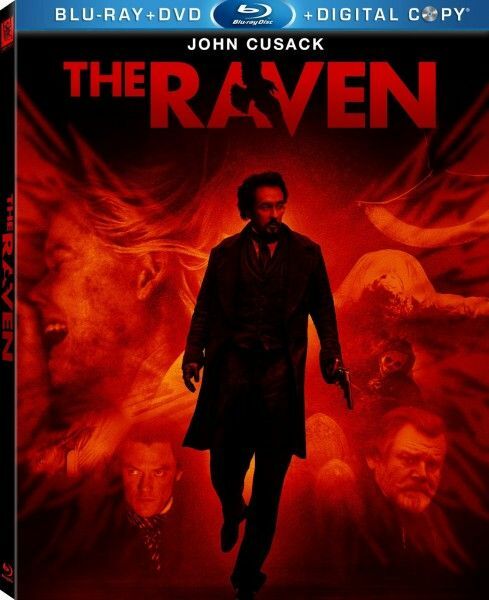 The John Cusack-fronted thriller take on Edgar Allen Poe didn’t exactly connect with audiences earlier this year, but fans of the film can now own it on Blu-ray. The special features include deleted and extended scenes and a few featurettes: The Raven Guts: Bringing Death to Life, The Madness, Misery, and Mystery of Edgar Allen Poe, Behind the Beauty and Horror The Raven Presents John Cusack & James McTeigue, and Music for The Raven: The Team. Click here to catch up on all of our previous coverage of the film. 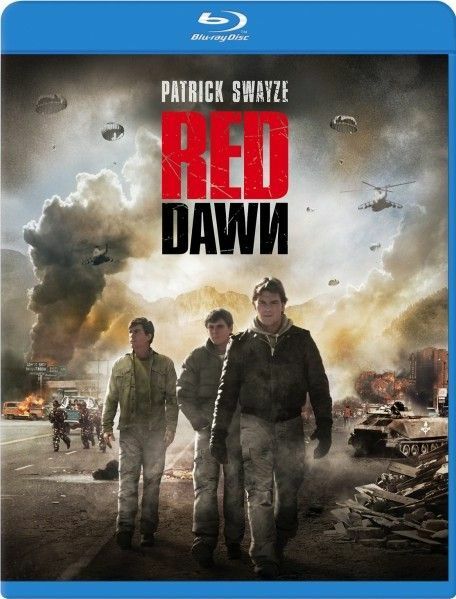 Just in time for the release of the remake starring Chris Hemsworth, the original 1984 action film Red Dawn is now on Blu-ray. The release is the epitome of piggybacking, as the disc comes with absolutely zero special features or supplements. Nevertheless, Wolverines! Director Adam Shankman’s classic rock musical adaptation comes packed with bonus features. 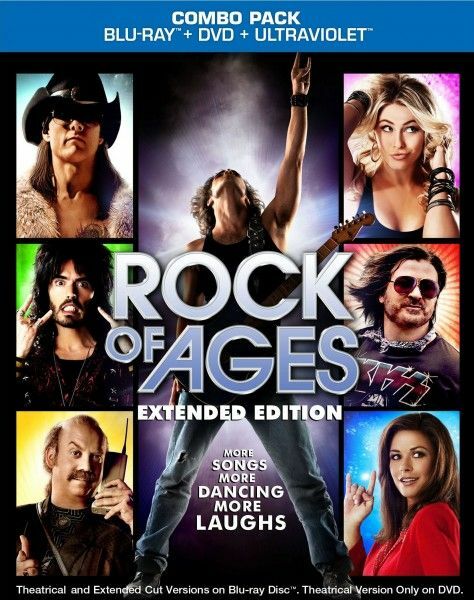 The combo pack includes both the theatrical and extended cuts of the film, a documentary called Defining A Decade that delves into the making of the film, a music video for Mary J. Blige’s “Any Way You Want It” number, a classic rock-themed featurette titled Rock of Ages: Legends of the Sunset Strip which has Brett Michaels interviewing many of the musicians featured in the film about their memories of being a rock star in the 1980s, a song-focused featurette called The Stories We Sing that centers on the songwriters and stories behind some of the songs in the film, and a feature that lets you skip to all the musical numbers on-demand. The DVD also comes with footage of Def Leppard performing at the film’s premiere. In lieu of no Blu-ray article last week, we figured we’d cover the two biggest titles that hit stores last Tuesday. First up is Disney’s vault-release of Cinderella. As expected, the Diamond Edition Blu-ray is filled with extras. 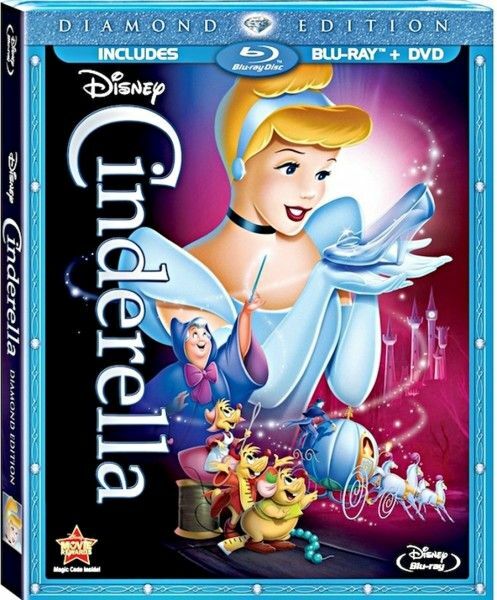 The disc includes deleted scenes from the 1950 animated classic, an original demo recording of the film’s title song, seven songs that were cut from the film, three vintage radio programs from the time of the theatrical release, a 38-minute featurette delving into the making of the film, another separate featurette that centers on the early drafts and versions of the Cinderella story that were considered before the filmmakers settled on the final script, a tribute to animating pioneers who contributed to the Disney style, a featurette on the art of Mary Blair, an alternate opening sequence, a short film called Tangled Ever After, and oh so much more. In short, the Diamond Edition more than lives up to its name as you’ll find a refreshingly comprehensive collection of extras. 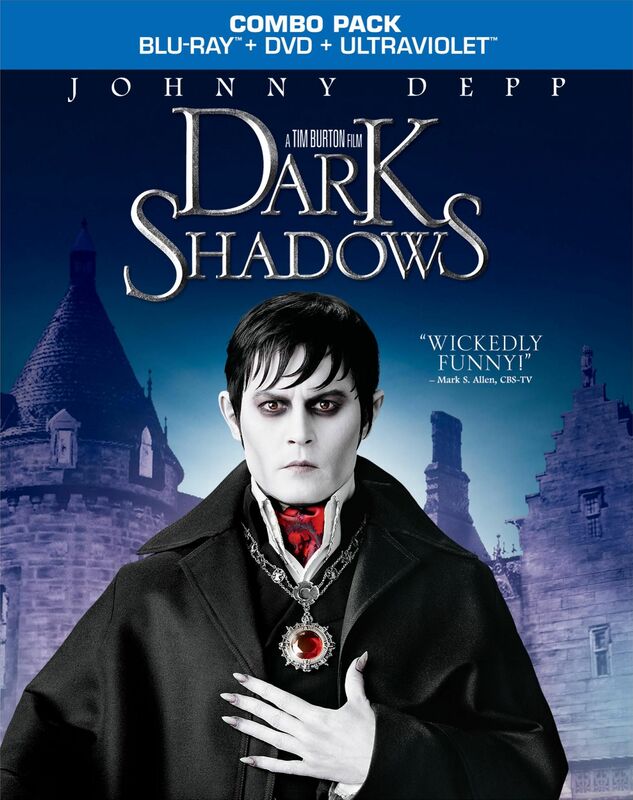 One of the more dismal entries in Tim Burton’s later career, the comedic adaptation of Dark Shadows is now available on Blu-ray. The disc includes Warner Bros.’ “Maximum Movie Mode” in which a picture-in-picture track plays alongside the movie and focuses on behind-the-scenes tidbits. The disc also includes a feature where you can access the MMM featurettes on demand and a collection of deleted scenes. Note: Collider earns a small referral fee when our readers purchase something on Amazon through one of our links. The money generated helps pay our staff and keep the site running. Thank you for reading and supporting Collider.